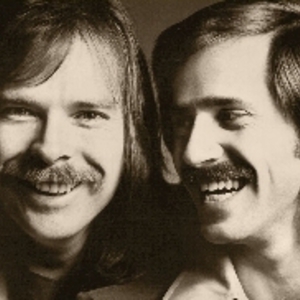 The seeds of one of classic rock's most pleasant sounding duos were sown when Dan Seals and John Colley first met in high school in Dallas, Texas during the early 1960s. Dan Seals was born February 8, 1950, in McCamey, Texas. To say that he came from a musical family would be an understatement. He was the son of E. W. "Waylon" Seals, a pipe fitter and repairman for Shell Oil who also played guitar and bass, and was a member of bands led by Ernest Tubb and Bob Wills. By the time he was four, Dan had learned to play upright bass and soon after he was playing in the family band. Dan Seals was born February 8, 1950, in McCamey, Texas. To say that he came from a musical family would be an understatement. He was the son of E. W. "Waylon" Seals, a pipe fitter and repairman for Shell Oil who also played guitar and bass, and was a member of bands led by Ernest Tubb and Bob Wills. By the time he was four, Dan had learned to play upright bass and soon after he was playing in the family band. His older brother, Jim Seals recorded a hit single called "Tequilla", as a member of the Champs from 1958 thru the mid-1960s, then as one half of the duo "Seals And Croft". His other brothers included successful country musicians Eddie Seals (of Eddie and Joe), while his cousins included composers Chuck Seals (author of "Crazy Arms") and Troy Seals, Brady Seals (of Little Texas), and country singer Johnny Duncan. John Colley, born October 13th 1951, was a classically trained pianist. The two began working together as members of local cover bands, including Playboys Five and Theze Few. They recorded a series of demos in Nashville as The Shimmerers, but their prospects ended with the death of their producer, before he could secure a recording deal for them. It was as members of a group called Southwest F.O.B. (Freight On Board) that the two first paired off as a formal duo. The band, with Colley on keyboards and Seals playing sax as well as singing, played a mixture of rock and R&B and became popular locally in Dallas. They were signed to Hip Records, a division of Stax/Volt, and in 1968, released an album called "Smell of Incense", the title song of which, made it to No. 56. Seals and Colley had begun writing songs together around this time and recognized that they were moving in a different direction from the rest of the band, more toward Paul Simon than Jimi Hendrix. Soon, the were opening shows for the band with an acoustic set featuring their harmony vocals, warming the crowd up before the entire Southwest F.O.B. took the stage. They remained with the group until 1969, when they decided to head to California and try and land a recording contract as a duo. Originally billing themselves as "Colley and Wayland", (Seals' middle name) the name didn't quite work, and it was Dan's brother, Jim Seals who suggested they incorporate Dan's childhood nickname, "England Dan". It was a reference to the fact that, as a youngster, Dan had fixated on the Beatles and briefly affected an English accent. "Ford" was added to John Colley's name, and the spelling of his last name shortened to "Coley" to assure its proper pronunciation. England Dan & John Ford Coley not only flowed well, but was unusual enough to merit a second look from programmers, reviewers, and promoters, as well as the general public, even if they'd never heard any of the duo's music. As "England Dan & John Ford Coley", they were signed to A&M Records in 1970, with the assistance of guitarist Louis Shelton, who'd played with Jim Seals in The Dawnbreakers (and would be part of Seals & Croft's band), and who had brought the duo's demo to Herb Alpert. A pair of LPs, a self-titled debut album and "Fables", both produced by Shelton, resulted in very modest sales, a minor chart entry with the song "New Jersey" at number 103, and a No. 1 Japanese hit single ("Simone"). Those albums and singles featured a somewhat rougher textured version of the sound for which they would later become known, and an array of Los Angeles sessionmen including Larry Knechtel, Tommy Morgan, and Hal Blaine, not to mention string arrangements by Marty Paich. When their contract ran out in 1972, they were dropped by A&M. Not easily discouraged, they kept performing, and Coley was hired to play on a couple of Seals & Croft albums. Four years later, in 1976, their manager heard a demo of a new song called "I'd Really Love To See You Tonight", written by a Mississippi-based composer named Parker McGee. The duo cut their own demo of the tune and began shopping it around to different record labels. Ironically, it was after an executive at Atlantic Records turned it down that Doug Morris of Big Tree Records, having heard it through the wall of his adjoining office, offered them a contract. Dan and John were paired with producer Kyle Lehning, who had also made McGee's demo. The result was a No. 2 pop single in the spring of 1976, which ultimately sold two million copies. July of 1976 saw the release of England Dan & John Ford Coley's debut album for Big Tree, "Nights Are Forever", also produced by Lehning. Their second Big Tree single, "Nights Are Forever Without You," also written by Parker McGee, also made the Top 10. By 1977, they recorded a second album called, "Dowdy Ferry Road", which yielded a pair of songs, "It's Sad To Belong (To Someone Else)" and "Gone Too Far", both Top Twenty hits. These two more moderate success didn't seem to satisfy the record label, and the duo found themselves being pressured to find songs by other composers with which they could scale the top 10. They'd spent years perfecting a sound and two complimentary styles of composition that would allow them to do things musically that were important to them, but both Seals and Coley found the most personal aspect of their work shunted aside and held out of the most prominent positions in their work. Their third LP, "Some Things Don't Come Easy", seemed to say more than was intended with its title. The 1978 album generated a top 10 hit with "We'll Never Have To Say Goodbye Again," but it was the work of songwriter Jeffrey Comanor, rather than either Seals or Coley. Additionally, the album was mixed in New York, in contrast to their prior work, which was recorded and mixed out of Lee Hazen's studio in Hendersonville, Tennessee. This pointed to the increasing need for a new sound and texture from the duo's work. By the end of the 1970s, England Dan & John Ford Coley were beset by new pressures from all sides. The perception was that, between the burgeoning disco boom and the undercurrent of punk rock, their continuing with the brand of harmony-based, melodic pop-rock in which they specialized, was a losing battle. After some near-disastrous sessions in Los Angeles, they salvaged only a single song, one that proved to be their last top 10 hit, "Love Is The Answer," written by Todd Rundgren. They made one last effort at selling their sweetly harmonized music in the form of the single "Why Is It Me," and contributed one song "Part of Me Part of You," from the movie "Just Tell Me You Love Me". Following the release of a "best of" album in 1980, the pair went their separate ways. Dan Seals initially pursued a career in pop-rock as England Dan on Atlantic (which had bought up Big Tree Records), and managed a low placement in the top 100 with "Late At Night." It was around this time, however, that the Internal Revenue Service began an action against Seals which resulted in the seizure of virtually all of his assets. He re-emerged, still produced by Kyle Lehning, as Dan Seals and reinvented himself as a country performer. After hitting the country charts three times in one year with "Everybody's Dream Girl," "After You," and "You Really Go For The Heart," he moved into high gear with a six year string of major hits, including nine No. 1 country hits in a row, and a string of Country Music Association awards to go with them. John Ford Coley withdrew from performing after the split, although he did return to A&M Records in 1981 to cut an album, "Leslie, Kelly & John Ford Coley" with singers Leslie Bulkin and Kelly Bulkin, on which Jim Seals' long-time partner Dash Crofts did some singing. During the early/middle 1990's, he reappeared as a solo artist in southern California. John has also had some success as an actor, appearing in the film Dream A Little Dream with Corey Feldman and Corey Haim as well as a movie called Scenes From A Goldmine. He also played the part of the bad guy on an episode of America's Most Wanted. In 1996, Rhino Records released "The Very Best of England Dan & John Ford Coley", a 16-song compilation. Whatever success they enjoyed in reshaping their images and music, England Dan & John Ford Coley will always draw smiles and warm feelings about a simpler, more innocent age for which they wrote a good deal of the nicest music of the decade.